CSPA, the Golden Gate Salmon Association, and other fishing and river groups have released an analysis critical of the outline of Voluntary Agreements submitted to the State Water Board as a proposed alternative to the Board’s regulatory update of the Bay-Delta Plan. The analysis describes foundational problems with the agreements as proposed by the California Natural Resources Agency (CNRA) and others on December 12, 2018 and March 1, 2019. The analysis of the Voluntary Agreements is available here. The webpage for the March 1 CNRA submittal to the State Water Board is here. In his State of the State address on February 12, 2019, newly elected Governor Gavin Newsom announced he didn’t support the “California WaterFix” as a two-tunnel project, and that he favored downsizing it to just one tunnel. What does this news mean? The WaterFix project to tunnel water under the Sacramento – San Joaquin Delta no longer exists as designed. Many steps of this alleged solution for improving the environment and fisheries of the Delta and San Francisco Bay will need to be retraced. The California Department of Water Resources (DWR) and the U.S. Bureau of Reclamation (BOR) have never analyzed a single tunnel in an environmental document. The 90,000 of pages in the “Final” WaterFix environmental impact report (EIR – California) and environmental impact statement (EIS – federal), already “supplemented” once in 2018, will at minimum require additional analysis. To be done right, it is likely that environmental review will need to completely start over. DWR and BOR’s joint Petition to the State Water Resources Control Board for the Change in the Point of Diversion (August, 2015) is for a twin-tunnel project. With a single tunnel, it is not even clear if the Bureau of Reclamation will be a partner. To be done right, the Petition, which already contained many procedural irregularities, will need to be withdrawn and resubmitted. In over two years of hearings before the State Water Board, which generated 24,000 pages of hearing transcripts, there was no testimony about a single tunnel project. At minimum, the Board will need to take additional testimony about a new project. The hearing officers will need to decide what if any previous testimony about a twin-tunnel project will remain relevant in evaluating a single-tunnel project. It is possible that the hearings, too, will need to start from scratch. Meanwhile, several lawsuits relating to the earlier versions WaterFix are already underway. These include litigation on the EIR/EIS for WaterFix. They also include litigation of DWR’s “Validation” that the project is ready to issue bonds to fund it. It is unclear whether DWR and BOR will withdraw their environmental documents or the validation, and if so what will become of the ongoing litigation. Attorneys for CSPA and numerous other parties have invested substantial time, effort and resources in this litigation, prior to DWR’s upcoming do-over. WaterFix in any form will be further delayed for years. Perhaps it is time for the Governor to put a cork in the tunnels once and for all and find alternatives that truly reduce reliance on the Delta for California’s water supply. Posted in Cindy Charles, No Tunnels Campaign	| Comments Off on WaterFix: Down One Tunnel, in Holding Pattern. What’s Next?? The holidays are over, and the sales are on. Karla Nemeth, Director of the California Department of Water Resources (DWR) published an op-ed in CALmatters on December 26, 2018 to tell the world “what new water deals mean.” Tom Birmingham, General Manager of Westlands Water District on the west side of the San Joaquin Valley, pronounced on the same day that “new voluntary water agreements are a good deal.” Together, they’re selling a 15-year lease on the public trust resources of the Sacramento – San Joaquin watershed and the Bay-Delta estuary. Of course, like all leases, at the end of the lease period there will be no equity to show for it. As the 15 years sunset, the sales associates will throng to re-up the public on buying back public water. With luck, after those 15 years there will be some fish and other public trust resources left to protect. On December 12, 2018, DWR Director Nemeth and Department of Fish and Wildlife (DFW) Director Chuck Bonham brought a presentation and a series of abbreviated “term sheets” for “Voluntary Settlement Agreements” to the meeting of the State Water Board. The State Water Board had agendized adoption of the update of that portion of the Bay-Delta Plan that deals with Lower San Joaquin River Flow and Southern Delta Salinity. The State Water Board adopted the Plan revisions and approved the supporting Substitute Environmental Document later that day. (See CSPA’s previous analysis here). At the State Water Board’s December 12 meeting, Turlock and Modesto irrigation districts and the San Francisco Public Utilities Commission supported a flow agreement for the lower Tuolumne River that they had reached at least in concept with DFW. A larger group of water users supported DFW and DWR’s approach and recommended framework for Sacramento Valley flows and Delta operations. These entities even offered to draft all or part of a restructured substitute CEQA document on the State Water Board’s behalf. So how can Mr. Birmingham unabashedly say that the new Voluntary Settlement Agreements are a “good deal” when the so many details of the agreements still need to be worked out? How can other commenters from the water user community praise the deals without really even knowing what they are? It’s because (using Mr. Birmingham’s word) these deals “preempt” a formal balancing of the public trust. They don’t start from the premise that water for the public trust is primordial and fundamentally different than water for developmental uses. The public trust protects the needs of the rivers, the estuary and the Bay – including fish and wildlife, the aquatic food web, plants, clean water, public recreation – as first priority. Developmental uses are limited by the needs of the public trust. The State Water Board’s percent-of-unimpaired framework accepts the premise that the public trust is fundamentally different, and is first in line. CSPA’s arguments with the State Water Board are not about the Board’s framework. They are about how the State Water Board goes about drawing the line (lack of formal process for balancing the public trust) within that framework, and where the State Water Board chose to draw the line (too little water devoted to protect the public trust) within that framework. The Voluntary Settlement Agreements are an initiative by water users, aided and abetted by the California Departments of Natural Resources and Fish and Wildlife, to substitute private agreements in place of balancing the public trust. Thus, CSPA’s argument with the Voluntary Settlement Agreements as proposed is fundamentally different than the argument with the State Water Board. CSPA’s fundamental disagreement with the Voluntary Settlements is that they place the system of water rights priority before the public trust; water for the public trust becomes the sloppy seconds of business as usual. The argument is with relegating the public trust to leftovers, not with the size or quality of the leftovers. The framework of the Voluntary Settlement Agreements as introduced on December 12 is to limit required flows so that they don’t upset the existing divisions and allocations of water. Diverting, storing and then selling the public’s water back to “the environment” is one of the main tools of this framework. Setting up opportunities to divert “new” sources of water is another tool. Accounting tricks that increase diversions even as “new” water is released is a third. Building the Voluntary Settlement Agreements on the foundation of Water Rights Decision 1641 – a proven disaster for fish – will allow the water users another fifteen years to game a water system they have mastered. The Voluntary Settlement Agreements are also long on selling previous commitments for non-flow measures as new commitments. Many of the non-flow actions that the listed for the Feather River are actions DWR agreed to in the Oroville Settlement Agreement for relicensing hydropower facilities at Oroville Dam. Many actions on the Sacramento have long been identified as needed. The game is not simply “will trade money for water.” It’s: will trade water for making some of the payments we’re already late in paying. The sales pitch here involves getting extra credit for actually doing something you already said you’d do. Adaptive management under the proposed Voluntary Settlements offers still another low-flow opportunity. Mr. Birmingham informs us: “In the eighth year of the agreements, an additional 300,000 acre-feet of water will be dedicated to Delta outflow if science establishes the additional water is required to achieve the established goals for species.” Of course, “science” won’t establish anything. People will establish the goals for the species, and people will establish the need for water. Who will those people be? “[A] collaborative group of public agencies and interested nongovernmental organizations” will “evaluate whether water used for species protection is being used reasonably and beneficially.” The “public agencies” are the state and federal contractors who spent millions of dollars over the last eight years attacking the need for more Delta outflow. They are also the federal fish agencies that didn’t utter a word in the latest round of workshops and meetings on the Bay-Delta Plan, and California DFW, whose Director showed up to cut flows in half. There is no definition of who the “interested” nongovernmental organizations might be, what their role will be, or whether they’ll have to sign and defend a lousy settlement or a non-disclosure agreement to play. With this lineup, what are the odds that conditional water will become real water? Resource agencies, NGO’s and water users dithered for six years in secret flow negotiations on the San Joaquin, with two years of overlap with secret flow negotiations for the Sacramento Valley. In the end, a small group of water users carved up Central Valley water to meet the December 12, 2018 deadline to present agreements to the State Water Board. In Mr. Birmingham’s words: “These agreements resulted from intense negotiations among DWF [sic], DWR, the U.S. Bureau of Reclamation, public water agencies that contract for the delivery of water from the Central Valley Project and the State Water Project, and public water agencies from every upstream region in the Delta watershed.” Even though most of these entities have governance as “public water agencies,” they represent the public interest only to the degree that the public interest overlaps with the economic interests of their constituents. And none of these “public water agencies” start from the basis of the primacy of the public trust. These deciders concluded the Voluntary Settlements as private negotiations of business entities dividing up assets and liabilities. It’s a hostile takeover of the public trust. In the negotiation of the December 12 Voluntary Settlement Agreements, two sets of entities were ostensibly negotiating to defend the public trust: DFW, which accepted the water users’ framing and framework from the start, and five hand-picked non-governmental organizations (NGO’s) that were never allowed to direct the discussion. These five NGO’s are all relatively large and well-funded national environmental organizations. But in a setting where private interests are competing, the economic and political clout of these NGO’s doesn’t hold a candle to the water users, DWR, and the Bureau of Reclamation. As undercapitalized private interests, they were marginalized; they reported to the State Water Board that most of the major discussions and negotiations took place without them, and often without them even being informed. They at least had the sense to walk away from a rigged game. The political capital that NGO’s and resource agencies bring to processes to protect fish and other public trust resources is precisely their representation of the public interest. The five selected NGO’s signed non-disclosure agreements that cut them off from their political base and allies. They isolated themselves from the coalition of the broader NGO community, greatly limiting their resources and their strategic opportunities, and most of all weakening their moral authority immeasurably. DFW’s leadership, in conducting a secret process, grossly weakened any leverage it might have had by separating itself from the broader environmental and fishing community. It also went a long way toward breaking up working relationships that NGO’s and DFW staff have developed and strengthened over the past decade, in hydropower relicensings as well as before the State Water Board. The State Water Board’s adoption of lower San Joaquin River flow objectives on December 12 reunited, for the moment, the broad NGO (environmental and fishing) community in favor of these objectives and against a series of lousy private deals. 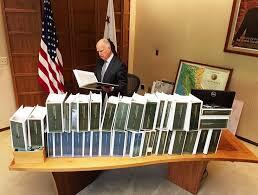 But the State Water Board also left the low flow Voluntary Settlement Agreements with a big foot in the door. The broad water user community has not simply initiated a parallel process to that of the State Water Board’s update the Bay-Delta Plan. The water user community is seeking to undermine the State Water Board’s process to balance the public trust. It seeks to insert a surrogate, opposing private deal dedicated to the proposition that water users should have another 15 years to siphon off the public trust and thus avoid living within their means when it comes to water. This post presents a different perspective. The foundational agreement between DWR and the Bureau announced on December 12 is the Addendum to the Coordinated Operation Agreement Central Valley Project/State Water Project. The Addendum to the “COA” modifies the 1986 agreement between DWR and the Bureau on how they divide up responsibility for meeting various regulatory requirements and how they divide up the benefits of water deliveries between SWP and CVP contractors. Under the Addendum to the COA, the Bureau and the CVP generally get less responsibility and more water than under the 1986 COA. The SWP will be responsible for meeting more north-of-Delta and in-Delta flow and water quality requirements in Dry and Critically Dry water years. This will increase demands on Oroville Reservoir, DWR’s main north-of-Delta storage facility, when water is in short supply. Thus, the Addendum to the COA means that the SWP and the CVP will change how they operate their reservoirs. The Addendum to the COA treats changes in the operations of California’s major reservoirs as strictly private water supply management issues to be negotiated by business interests and the agencies that enable them. However, as seen most clearly in the 2014 and 2015 drought years (and 2016 on the Stanislaus), drawing down SWP or CVP reservoirs increases the risk that their operators will be unable to meet flow, salinity and/or water temperature requirements in the following year without shorting deliveries to their highest priority “settlement” and “exchange” contractors. In 2014 and 2015, DWR and the Bureau faced low reservoir storage and low inflow. DWR and the Bureau jointly petitioned the State Water Resources Control Board (State Water Board) for “Temporary Urgency Changes” to flow, salinity and water temperature rules. The State Water Board granted these petitions to weaken flow, salinity and temperature requirements. As a result, almost the entire natural production of winter-run salmon in the Sacramento River failed, and Delta smelt disappeared, possibly to the point of extinction. These are public trust issues, not private ones. By any measure, they were significant impacts. Legally, one way the public trust is protected from significant environmental impacts is through environmental review. However, DWR has declared that the Addendum to the COA is exempt from environmental analysis under the California Environmental Quality Act (CEQA), because the change is all within the range of (non-public) discretion DWR has always had in operating its reservoirs. The Bureau, for its part, issued a brief Environmental Assessment and a Finding of No Significant Impact under the National Environmental Quality Act (NEPA) for the Addendum to the COA, putting slightly more effort into determining that there is nothing to see here. Here are some of the things that the Agreement to Address the Effects means. First, it means that DWR won’t radically change the WaterFix project definition, for now. All the associated documents, processes and approvals that are based on the existing WaterFix project definition won’t be summarily thrown out. So DWR can continue pursuing WaterFix without facing a massive do-over of environmental review and three years of water rights hearings at the State Water Board. It means that DWR can tell the State Water Board that it will potentially use the Bureau’s water rights in operating the tunnels. And it means that DWR has the tenuous assurance that the Bureau may accept and comply with the substance of the Biological Opinions for WaterFix issued by the U.S. Fish and Wildlife Service (FWS) and National Marine Fisheries Service (NMFS). The Bureau is the federal action agency for the purposes of those BiOps, and would have extensive obligations under them. In the Agreement to Address the Effects, the Bureau has promised not to unravel that arrangement at least until the State Water Board issues a draft water rights decision. As noted above, the Addendum to the COA, without adequate NEPA review and with no CEQA review at all, substitutes a private deal for public disclosure under CEQA and NEPA of the impacts of changed reservoir operations on the public trust. In combination with the Agreement to Address the Effects, the Addendum to the COA also creates a private deal to mitigate impacts of changed reservoir operations to CVP water users under WaterFix without mitigation of the impacts of changed reservoir operations to the public trust under WaterFix. Broader acceptance of such private resolutions would have the additional effect of reducing opposition in the WaterFix water right hearings to DWR’s position that reservoir operations are strictly a private matter, unfit for public comment, input or review. CSPA has argued in its testimony in the WaterFix hearings that the State Water Board needs to put explicit carryover storage conditions on each of the north-of-Delta CVP and SWP reservoirs (Trinity, Shasta, Folsom and Oroville) to reduce the risk to fish. Separately, a number of water users have sought protection from foreseeable changes in reservoir operations under WaterFix that could reduce their water supply reliability. Folsom area diverters who protested the WaterFix petitions have asked for numeric carryover storage requirements in Folsom Reservoir to protect their water supplies. Other north-of-Delta diverters have sought to assure that changes in reservoir operations under WaterFix would not make less water available for their respective water deliveries. Conditions on reservoir operations in water rights permits for WaterFix (or as the result of any other proceeding) appear to be a deal-breaker for both the Bureau and DWR. One of the goals of the December water deals thus appears to be to separate the water users who are WaterFix protesting parties (“protestants”) from environmental WaterFix protestants on issues of reservoir operations. Though a likely overreach at least in its timing, DWR sent a December 12 letter to many of the WaterFix protestants who are CVP contractors, asking these CVP contractors to dismiss their water rights protests and to not sue on any issues or proceedings relating to WaterFix. Much of the testimony that these parties presented in the WaterFix water rights hearings directly or indirectly addressed reservoir operations. On December 12, DWR and the Bureau also concluded a cost sharing agreement to keep federal dollars coming to pay for the CVP’s share of the requirements under the existing Biological Opinions for the long-term operation of the existing SWP and CVP facilities. The Trump administration is working to re-write these BiOps, presumably to reduce federal obligations for both water and money. This cost sharing agreement appears to sunset once new BiOps for existing SWP and CVP facilities are issued. However, a December 12 letter from DWR Director Nemeth to Bureau Commissioner Brenda Burman entreats the Bureau to continue cooperation on a suite of matters relating to the SWP and CVP, and states, specifically: “Each of these actions must ensure an approach that enables compliance with state law.” This is important. Federal compliance with state law is no longer a given. In this regard, it is notable that the Addendum to the COA allows the possibility for the Bureau to withdraw from the COA in as little as six months. In sum, the three agreements are an elaborate attempt by DWR to keep the Bureau on board with WaterFix, to keep the Bureau maintaining at least the appearance of complying with state law, to leverage federal funding, and to reduce CVP contractor opposition to WaterFix. DWR’s leverage is the SWP’s enormous Delta export pumping capacity and the potential that WaterFix may directly or indirectly increase CVP exports as well as SWP exports. The three agreements are an elaborate attempt by the Bureau to increase water its supply deliveries and to reduce its regulatory obligations for both water and money. The Bureau’s leverage is the fact that DWR needs the Bureau to continue as a petitioner in the WaterFix water rights hearings and as a proponent in related proceedings. In addition, the Bureau’s leverage is that it can invoke the nuclear option of refusing to comply with state law in a variety of venues. Together, DWR (passively) and the Bureau (actively) will use the Bureau’s leverage (potential non-compliance with state law) against the State Water Board in the update of the Bay-Delta Plan. The Board’s update could require both the SWP and the CVP to restore substantial amounts of water to the public trust. Both DWR and the Bureau, along with their contractors and other water users, will use the threat of federal non-compliance with state law, along with the carrot of federal funding, to promote the Voluntary Settlement Agreements that DWR and others also announced on December 12, 2018. DWR, the Bureau, and other water users will attempt to substitute these Voluntary Settlement Agreements for the State Water Board’s regulatory obligation to balance the public trust. This will be the subject of Part 2 of What the Water Deals Mean. The State Water Resources Control Board adopted new objectives for flows in the Lower San Joaquin River and for southern Delta salinity on Wednesday, December 12, 2018. The new plan for flow in the San Joaquin River will require as a start release from reservoirs on the Stanislaus, Tuolumne and Merced rivers of 40% of the unimpaired flow in the months of February through June. The adoption is part of the update of the State Board’s Bay-Delta Plan, whose last update was in 1995. The State Board’s December 12 adoption was essential. It came in spite of massive pressure from politicians of both major parties and from the overwhelming majority of water users in the Sacramento – San Joaquin watershed. It also came despite the initiative of the Director of the California Department of Fish and Wildlife (CDFW) and the Director of the California Department of Water Resources (DWR) to substitute a series of “Voluntary Settlement Agreements” that would vastly reduce the amount of water the Bay-Delta Plan will require to go into the Delta and out through San Francisco Bay. The outcome is not perfect. CSPA has advocated for 60% of the February-June unimpaired flow. CSPA has opposed the weakening of the southern Delta salinity standards; it will have the practical effect of reducing San Joaquin River flow at times, and the underlying analysis is flawed. CSPA is weighing litigation on these and other issues. Nonetheless, many aspects of the outcome are positive. Here is why. The Department of Water Resources (DWR) has withdrawn its Certification that its proposed Delta tunnels (WaterFix) project is consistent with the Delta Plan. As anticipated in a November 16, 2018 CSPA post, there is now no chance that the Delta tunnels will be approved and begin construction before Governor Brown leaves office in January 2019. Clearly, a vague project description did not pass muster. 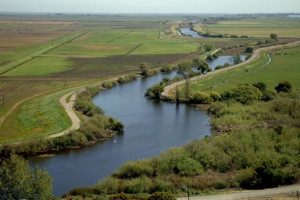 The Delta Stewardship Council could not overlook major project uncertainties, such as the role if any of the Bureau of Reclamation in the project and in meeting state-required regulations for Delta protection. DWR will have to come back to the Delta Stewardship Council with a project that has resolved such major uncertainties. Perhaps even more difficult, DWR will need to confront the litany of project impacts to the Delta, its residents, and its recreational users. Representatives of in-Delta interests presented compelling evidence to the Delta Stewardship Council about the impacts of millions of pile-driver strikes, thousands of barge trips, and daily traffic snarls resulting from draw bridge openings to accommodate the barge trips. It is not simple to change the project to resolve these impacts. The more DWR changes the project, the more likely it may be for DWR to persuade the Delta Stewardship Council. But the more the project changes, the more those changes may cascade into other processes. Changing the project may result in the need for another round of environmental review. It could possibly also require additional testimony in the WaterFix water rights hearing at the State Water Board. December 7, 2018 was a day of victory for those who have fought the Delta tunnels over the last decade. But it is a victory in a battle, not in the war. CSPA fully expects to be back before the Delta Stewardship Council to oppose a second Certification of Consistency for WaterFix. The hearing before the State Board responds to the August 26, 2015 joint petition of the California Department of Water Resources (DWR) and the U.S. Bureau of Reclamation (Bureau) to add points of diversion to their existing water rights. Adding points of diversion would allow DWR and the Bureau to divert water at three tunnel intakes between Clarksburg and Courtland on the Sacramento River south of Sacramento. From there, water would move in two tunnels under the Delta to a new “forebay” near Tracy, next to the existing Clifton Court Forebay from which DWR draws diverts water from the south Delta. From the new forebay, water would move to DWR and the Bureau’s existing pumping plants at the heads of the California Aqueduct and the Delta-Mendota Canal. For CSPA, response began with a water rights protest of the petitions, jointly filed with CSPA’s partners throughout the WaterFix hearing, the California Water Impact Network (C-WIN) and AquAlliance. CSPA et al timely filed their joint protest on January 5, 2016, and thus joined many other parties as “protestants” in the proceeding. A recent series of articles and blog posts by Jeff Mount and others from the Public Policy Institute of California (PPIC) proposes a system of “water budgets” for the environment as part of a new system for managing water and rivers in California. These follow on a November 2017 PPIC paper by Mount et al. entitled Managing California’s Freshwater Ecosystems, which highlighted the concept of water budgets for the environment based on experiences in Australia. Exhibit A in the demonstration of why academics and policy analysts do poorly when intervening in regulatory process is the following sentence from the November 18 article: “Parties should avoid getting hung up on the specific amount of water initially set aside for ecosystems.” Oh dear. It’s pretty darn infuriating when those of us who have been fighting for a decade to actually establish a water budget for the environment are told we’d be better off making a deal in which the size of the budget really doesn’t matter. It now appears that there is almost no chance that Delta tunnels will be approved and begin construction before Governor Brown leaves office in January 2019. The roadblock emerged on November 15, 2018 in a proceeding before a state agency that most people don’t know about and even fewer understand: the Delta Stewardship Council. Following a day-long workshop on November 15, the Chair of the Delta Stewardship Council recommended that the Department of Water Resources (DWR) further define its Delta tunnels (“WaterFix”) project before asking the Council to approve the project. Chair Randy Fiorini’s comments were supported by comments by Council member Frank Damrell. (See details in Maven’s Notebook at https://mavensnotebook.com/2018/11/15/this-just-in-cal-water-fix-workshop-at-the-delta-stewardship-council-ends-with-chair-fiorini-suggesting-the-department-of-water-resources-withdraw-consistency-determination/). The Delta Stewardship Council must find that WaterFix is consistent with the Delta Plan before DWR can begin construction of WaterFix facilities. Nine “appellant groups” appealed DWR’s July 27, 2018 Certification that WaterFix is consistent with the Delta Plan. CSPA is part of Appellant Group 3, whose appeal was filed by Bob Wright with Friends of the River. (For the Certification, the appeals, and the voluminous 30,000+ document record for the proceeding, see https://coveredactions.deltacouncil.ca.gov/profile_summary.aspx?c=1790396c-5419-4ccb-b0d3-10cc4e985105). The Delta Stewardship Council held a hearing on the appeals on October 24-26, 2018. At hearing, CSPA’s Chris Shutes summarized the portion of Group 3’s appeal dealing with flow requirements and the incompleteness of DWR’s proposed project, and rebutted some of DWR’s assertions. Following the hearing in October, Council staff produced a Staff Draft Determination (http://deltacouncil.ca.gov/docs/staff-draft-determination-regarding-appeals-certification-consistency-california-department) that recommended findings of inconsistency with five policies in the Delta Plan. At the Council’s workshop on November 15, Staff presented its Draft Determination, and DWR followed with a presentation of its own. After questions from the Council, Appellant Groups made presentations. On behalf of Group 3, CSPA made a presentation in support of staff’s findings of inconsistency and in opposition to issues on which staff recommended denying appeals. The proceeding before the Stewardship Council is squarely in the critical path of DWR’s efforts to construct the Delta tunnels. Nine groups of appellants showed up with well-researched and cogent arguments, and complemented one another well. They have made a difference. Not surprisingly, the nine groups represent most of the entities that have also been in the forefront of opposition in the three-year proceeding on the Delta tunnels before the State Water Resources Control Board. In response to a joint written request from Governor Brown and incoming Governor Gavin Newsom, the State Water Resources Control Board on November 7, 2018 postponed a decision on adoption of increased flow requirements for the lower San Joaquin River. As proposed, the San Joaquin River Flows and Southern Delta Salinity portion of the update of the Bay-Delta Plan would require release of 40% of the unimpaired flow in the Stanislaus, Tuolumne and Merced rivers in the months of February through June. The update of the Bay-Delta began in 2009. The last update was in 1995. The State Water Board had already postponed a decision on August 22, 2018. The ostensible reason for the November postponement was to allow additional time for voluntary settlements that would supplant the Board’s proposed plan. Such settlements are advocated by most water users in the Bay-Delta watershed, as well as by the California Department of Natural Resources including the Department of Fish and Wildlife. At the November 7 meeting, CSPA advocated adoption as scheduled and strongly opposed postponement, pointing out that proposed settlements would fall far short of the State Water Board’s already compromised proposed flows. CSPA also opposed the increasing politicization of the process. 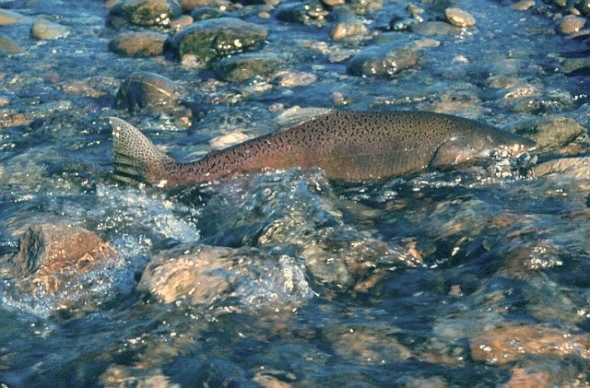 Others speaking in opposition of postponement included National Resources Defense Council, the Bay Institute, Golden West Women Flyfishers, and the Tuolumne River Trust. The State Water Board has now scheduled its adoption hearing for December 12, 2018. CSPA fully expects that state resource agencies and various water users will at that time present the State Water Board with one or more outlines of wholly inadequate proposed settlements. In an 11-0 vote on October 30, 2018, the San Francisco Board of Supervisors passed a resolution supporting the State Water Resources Control Board’s immediate update of the San Joaquin Flow portion of the Bay-Delta Plan. Introduced by Supervisor Aaron Peskin following meetings with several environmental and fishing organizations including CSPA, the resolution recognizes the need for San Francisco and its Bay Area contractors to release more water from dams to protect the lower Tuolumne River, the Sacramento-San Joaquin Delta, and San Francisco Bay. The San Joaquin flow objectives in the plan are due to be adopted by the State Water Resources Control Board on November 7. As currently written, these objectives would require 40% of the unimpaired flow in the Stanislaus, Tuolumne and Merced rivers in the months of February-June to pass past dams on those rivers, through the Delta and into the Bay. The resolution follows a two-year campaign with the San Francisco Public Utilities Commission, the City’s water agency, to accept the State Water Board’s flows. Led by the Tuolumne River Trust, this campaign did not move the SFPUC off a proposal to require release of less than half the flows proposed by the State Water Board. An appeal to the Board of Supervisors’ environmental values produced a more positive outcome. Over almost a decade of advocacy, CSPA has supported flows from the lower San Joaquin River greater than 40% of the February-June unimpaired flow, with explicit exceptions for drought years. With the State Water Board poised to act, CSPA supports action by the State Water Board to adopt flow objectives without delay, and working through any refinements after adoption. Note: On November 2, 2018, San Francisco Mayor London Breed vetoed the resolution. The Board of Supervisors will not meet again before the State Water Board’s November 7, 2018 meeting to consider the Bay-Delta Plan. On October 1, 2018, the United States Fish and Wildlife Service wrote a letter to the Federal Energy Regulatory Commission (FERC) retracting its January 29, 2018 flow recommendations for the lower Tuolumne River (see pp. 65-74). In its October 1 do-over letter, US Fish & Wildlife completely agrees to the required flows in the lower Tuolumne River proposed by the operators of Don Pedro Reservoir, Turlock Irrigation District and Modesto Irrigation District (Districts), and jointly supported by the City and County of San Francisco. The road to submission was not scenic. In March, 2018, and again in May, representatives of the Districts and the San Francisco Public Utilities Commission (SFPUC) made trips to Washington DC, where they and their lobbyists met with senior officials in the Trump administration. These included officials in the Department of the Interior, which includes US Fish & Wildlife. Aha. A fisheries agency that substitutes “refined recommendations” based on “policy direction” (October 1 letter, p. 6) for best available science hasn’t been asked to find consensus or to engage in dialogue: it’s been told to submit. Representatives of the San Francisco Public Utilities Commission have told staff from environmental groups that the SFPUC has been at arms’ length from some of this political maneuvering. SFPUC staff reported at the October 9, 2018 SF Public Utilities Commission meeting that it is “very actively in Washington DC with the irrigation districts.” (http://sanfrancisco.granicus.com/MediaPlayer.php?view_id=22&clip_id=31551, about minute 54). SFPUC staff was present at the closed door meetings with the Districts and US Fish & Wildlife that led up to the October 1 letter. At a certain point, one needs to ask whether being a champion of moderation, a passive witness, or a reluctant participant makes a difference in relation to a politically enabled beat-down. This is the most political interference in a FERC licensing process that this author has seen in eighteen years as a practitioner of FERC relicensing. 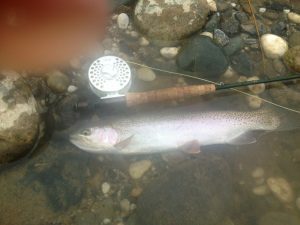 The California Sportfishing Protection Alliance, as a member of the Foothills Water Network (FWN), submitted 74 pages of comments on July 30, 2018 to the Federal Energy Regulatory Commission (FERC) on the Draft Environmental Impact Statement (DEIS) for the relicensing of the Yuba River Development Project. The hydropower project features three powerhouses including New Colgate, one of the largest hydropower generators in the state. It is operated by the Yuba County Water Agency (YCWA). FERC staff’s DEIS adopts most of the recommendations jointly agreed to and submitted by the parties to the project relicensing. FERC staff also recommends vehicular access to the North Yuba River below New Bullards Bar Dam and a plan to greatly increase the amount of large woody material in the lower Yuba River. However, the DEIS does not adopt recommendations for flows and channel improvements that were made by non-governmental organizations and federal and state fisheries agencies. FWN’s comments and recommendations urge FERC to require improved river flows, floodplain restoration, monitoring for water temperature, monitoring of salmon, steelhead and sturgeon, and mitigation for cumulative environmental project effects. FWN strongly recommends that FERC approve the establishment of an Ecological Group that would provide non-governmental stakeholders a defined role in the implementation of a new FERC license. FWN also urges FERC staff to update the way it analyzes the economics of electricity sales and to improve its analysis of water sales. The comments were signed by 14 groups, including fishing organizations, a Native American tribe, conservation organizations, and an organization that represents whitewater boating businesses. On 28 May 2018, the California Sportfishing Protection Alliance joined with the California Water Impact Network and AquAlliance (CSPA et al.) in filing a lawsuit against the California Delta Stewardship Council (Council) for amending the state’s Delta Plan to facilitate construction of two massive tunnels to divert Sacramento River water directly to Southern California. The lawsuit charges that the council violated numerous laws, including the Delta Protection Act, County of Origin Statutes, Area of Origin Protection Statutes and the California Environmental Quality Act (CEQA) in providing a preference for the tunnels over the restoration of the Delta. The Council’s action will cause enormous harm to fish, wildlife, water quality and the people who live in and depend upon the Delta. CSPA Executive Director Bill Jennings observed that, “a seriously degraded estuary, suffering from a critical lack of flow, cannot be protected or restored by further diverting millions of acre-feet of water under the Delta for export to Southern California. The amended Delta Plan is an obituary for fisheries, not a path to restoration. The complaint asks the court to vacate and set aside approval of the Delta Plan Amendments and certification of the Environmental Impact Report (EIR) and to issue a stay, temporary restraining order, preliminary injunction and permanent injunction prohibiting any actions by the Council to facilitate the tunnel project until the Council has fully complied with all requirements of the Delta Reform Act, CEQA and all other applicable state laws, policies and regulations. In 2009, the Delta Reform Act established the Council and required it to develop a Delta Plan that would meet the coequal goals of protecting the Delta’s fisheries and ecosystem while promoting water supply reliability. The Council adopted a Delta Plan in 2013 and CSPA et al., among others, promptly filed a lawsuit against the Plan in Sacramento Superior Court. CSPA prevailed in 2016 when the Court invalidated the Delta Plan for failing to comply with the Delta Reform Act. The California Department of Water Resources (DWR) approved the Delta tunnels project in 2017. The Council, dominated by Southern California members, subsequently approved new amendment to the Delta Plan in order to expedite the project in 2018 and this approval led to the current litigation. CSPA et al. is also in litigation with DWR over the 2017 approval of the tunnel project and is a major party in the current evidentiary hearing before the State Water Resources Control Board regarding DWR and U.S. Bureau of Reclamation’s request to modify their water rights permits to allow project construction. Chris Shutes, CSPA’s FERC Projects Director and Water Rights Advocate, gave a presentation at the 36th Annual Salmonid Restoration Federation Conference recently held in Eureka, CA. The SRF Conference is the largest salmon restoration conference in California and brings together scientists, conservationists, engineers, students and tribal members. The theme of this year’s conference was The Art and Science of Watershed Restoration. Chris’s presentation was entitled: Creating Regulatory Process from Scratch: Lessons from Money-Losing Power Projects on Butte Creek and Other Northern California Streams. It was included in a session of multiple presentations covering the topic of Adapting Aging Infrastructure to Sustain Listed Salmonids. Chris described how some California hydropower projects have become uneconomic given their age and the changing energy markets. As an example, PG&E decided to sell or decommission its DeSabla-Centerville Project on Butte Creek in 2017, just as the process of relicensing the Project was almost complete. The Project’s canal system brings water from the West Branch Feather River to Butte Creek. The combined flow in the creek supports the only currently viable run of Central Valley spring-run Chinook salmon. While there is a clear process to relicense ongoing hydro projects that allows broad public participation, there is no set process to transfer or decommission hydro projects, and no clear avenues for public participation. The presentation discusses the efforts of stakeholders including resource agencies, environmental and fishing groups, local residents, water purveyors and hydropower developers to work together to advance various stakeholder goals, including the protection of salmon in Butte Creek. CSPA and nine other Conservation Groups filed extensive comments and recommendations January 29, 2018 for flow requirements and non-flow measures for the lower Tuolumne River. The filing is an important milestone in the multi-year licensing process of the Don Pedro and La Grange dams owned by Turlock Irrigation District and Modesto Irrigation District. The comments make environmental recommendations and discuss legal requirements that the Federal Energy Regulatory Commission (FERC) must consider in evaluating license conditions for new hydropower licenses. In their 124-page submittal, the Conservation Groups provide a detailed flow recommendation for the lower Tuolumne River. The recommendation modifies the State Water Resources Control Board’s plan to require the release of a percent of the unimpaired flow from February through June. CSPA used a hydrological model to develop the recommendation on how FERC and the State Water Board could balance flow, irrigation and municipal water supplies, and reservoir storage. The recommendation has specific provisions for droughts. It also proposes that the City of San Francisco fund groundwater recharge facilities for the irrigation districts in order to meet the City’s flow obligations for the river. With these new facilities, the irrigation districts could maintain groundwater levels with less reliance on water-intensive flood irrigation. The Conservation Groups’ filing also recommends non-flow measures to create floodplain habitat, fill in dredger holes, replenish spawning gravel, and place large wood in the lower Tuolumne River. The districts have 45 days to respond to all comments filed with FERC. The next major step in the relicensing process will be FERC’s preparation of the Environmental Impact Statement (EIS) under the National Environmental Policy Act (NEPA). The Conservation Groups include CSPA, Tuolumne River Trust, Trout Unlimited, American Rivers, American Whitewater, Merced River Conservation Committee, Friends of the River, Golden West Women Flyfishers, Central Sierra Environmental Resource Center, and Tuolumne River Conservancy. CSPA, AquAlliance and the California Water Impact Network submitted comments on January 12, 2018 on the proposed Sites Reservoir Draft Environmental Impact Report/Draft Environmental Impact Statement (DEIR/DEIS). The proposed Sites Project would create a $4 billion reservoir outside of Maxwell, Colusa County, in the Sacramento Valley. The reservoir would be built “off stream” in a valley and would store up to 1.8 million acre-feet of water. 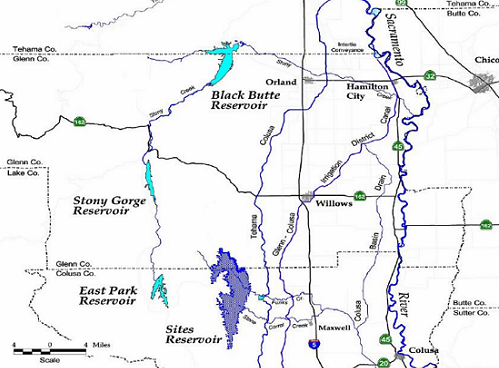 The reservoir would divert flows from the Sacramento River, mostly in winter. CSPA finds the DEIR/DEIS is deficient for multiple reasons. The DEIR/DEIS does not fully describe proposed Project operations, who will operate the project and to whom project operators will be held accountable. It does not analyze alternative operational scenarios or analyze their impacts. It does not analyze operations under alternative regulatory constraints, such as constraints more stringent than existing inadequate regulatory constraints for the Sacramento River and the Bay-Delta estuary. Project proponents argue that the Project will allow greater flexibility for operation of the State Water Project (SWP) and Central Valley Project (CVP). However, the DEIR/DEIS does not describe how operators will integrate the operation of Sites Reservoir with the operation of the State Water Project and Central Valley Project. The discussion of water rights in the document is muddled and perfunctory and inspires more questions than it provides answers. The Sites Authority has marketed its Project to the California Water Commission and others as environmentally beneficial. As stated in CSPA’s comments, “the objective opportunity to create environmental benefits does not in itself create those benefits.” Assuming there are environmental benefits to be had, they would require a clear project description, commitments and enforceability. The Sites DEIR/DEIS is several steps removed from all of these. As they stand today, the Sites Project is largely conceptual, its environmental benefits are at best aspirational, and its environmental document is deficient and must be recirculated.